Spring time in Myrtle Beach is great for golf. When you think of spring, Myrtle Beach golf Easter specials should come to mind. Easter is a popular holiday for families to take a trip over spring break to the beach. Easter is also a popular time for Myrtle Beach golf as the weather is perfect and the courses are in great shape. Whether you are planning a family trip to Myrtle Beach for Easter or are looking forward to a golfing getaway with your buddies, Myrtle Beach golf Easter specials are the deals that you will be looking for! Glens Group – this group owns 4 local courses: Glen Dornoch, Shaftsberry Glen, Heather Glen and Possum Trot. Part of their traditional Myrtle Beach golf Easter specials will include juniors as they encourage young folks to get involved in the game. 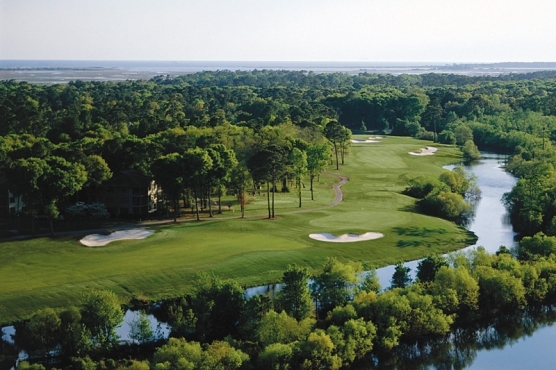 They will have special pricing for their 4 courses, with Glen Dornoch being their premier course (on the waterway), so that will be at the top of the pricing structure for Myrtle Beach golf Easter specials. In addition to the Glens Group, Barefoot Resort as well as the Founders Group (both of which have a collection of courses) will offer Myrtle Beach golf Easter specials. With Easter being a popular time of the year, most courses will offer Myrtle Beach golf Easter specials, especially we get closer to that time of the year. The best Myrtle Beach golf Easter specials can usually be found at the last minute (within 48 hours) on a variety of websites, so keep an eye out!